Based in the UK, AKD Engineering’s main Lowestoft facility covers more than 7.5 acres and is complemented by an adjacent dockside facility. Continuous investment has made AKD one of the premier manufacturing businesses of its type today. With a history of inward investment, not only does AKD invest in its facilities and equipment but most importantly in people. One of the most significant developments for AKD Engineering has been its ever-increasing role in the offshore decommissioning market. 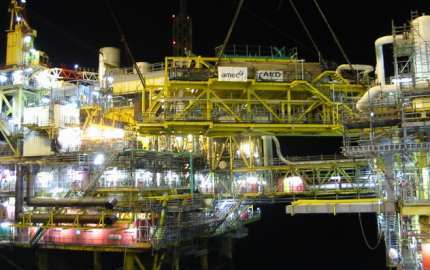 This is demonstrated by AKD’s involvement in major decommissioning projects, such as Shell’s Indefatigable Field, valued at £12m. Lasting nearly two years, this decommissioning project was completed on time and to budget with no lost-time incidents (LTIs), underlining AKD’s professionalism and the importance placed on safety throughout the business. AKD has supplied the oil and gas industry for more than 30 years and has expanded its offering to include the design and project management of turnkey contracts. The business has successfully moved into new markets, including offshore decommissioning, power generation, nuclear and renewable energy.